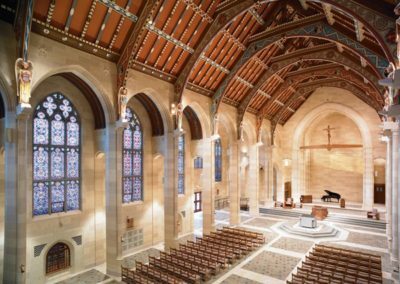 To restore the decorative painting of the interior, the historic tabernacle, the polychrome statuary and other liturgical objects for the 1927 Gothic-style Cathedral in Rochester, New York. 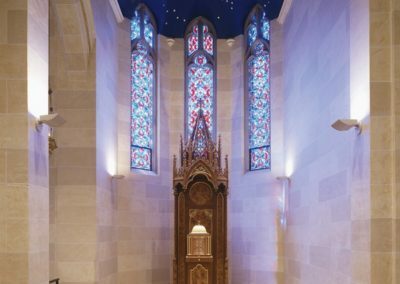 In the Eucharistic chapel, the Studio painted the ceiling to depict the night sky on March 3, 1868, the day the Diocese of Rochester was established. 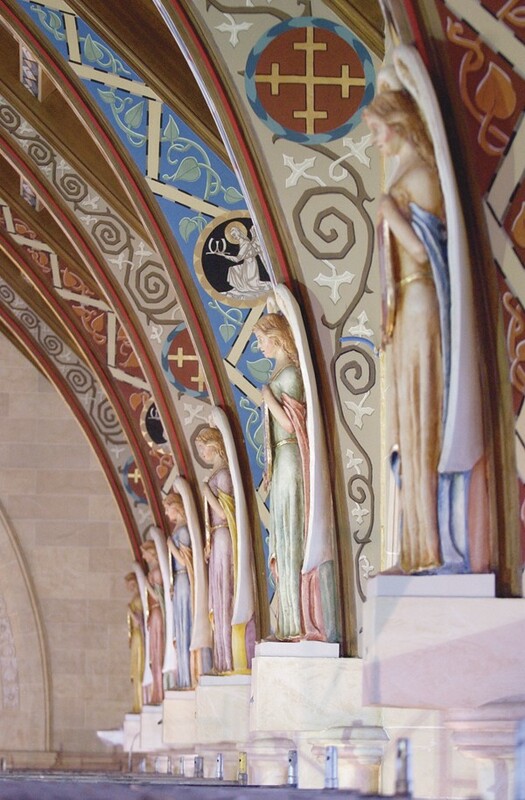 Artists from CSS washed, primed, painted and decorated the Cathedral walls and ceilings. The scope of work included extensive stenciling and gilding of the beams and purlins. 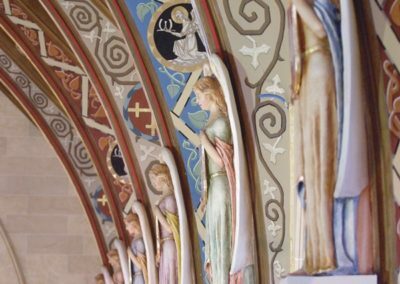 Studio artists restored failing polychrome paint on the sixteen life-size angel figures that stand at the base of the ceiling beams and on the tabernacle inherited from St. Philip Neri Church, which was lost to fire in 1967. 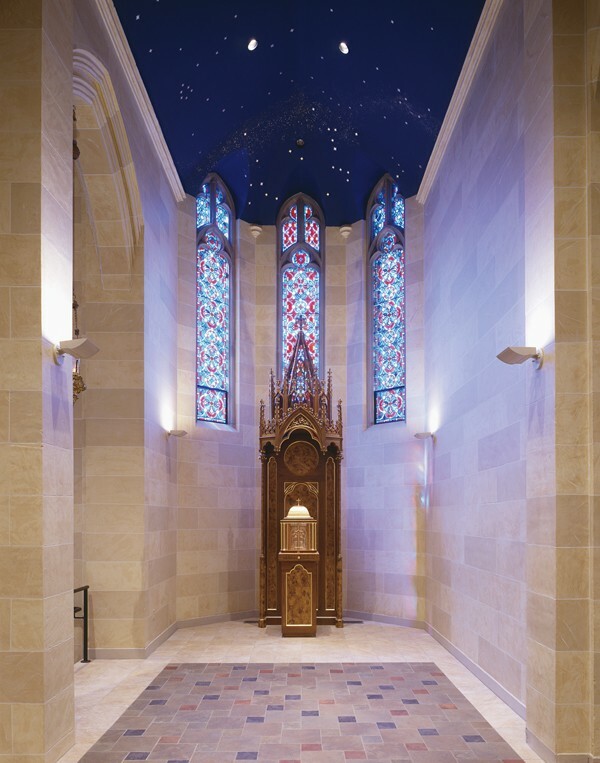 The confessionals were re-varnished and gilded and the Stations of the Cross cleaned. The Studio also restored a wood rood beam and crucifix that had previously been removed from the Cathedral interior. 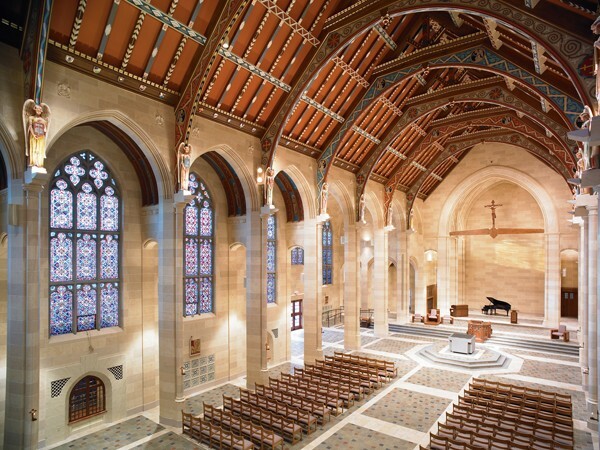 A new organ completed the apse space when it was installed. 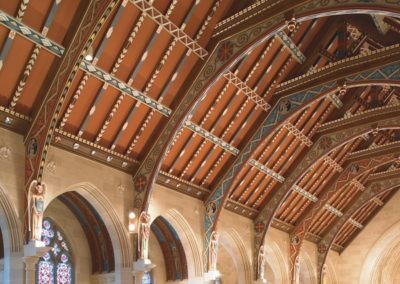 The restored elements of the Gothic church reflect a rejuvenated worship space that will inspire the present and future Catholic community of Rochester.